Its so easy to make delicious hummus at home, the base is chickpeas with tahini, garlic, lemon juice and olive oil. 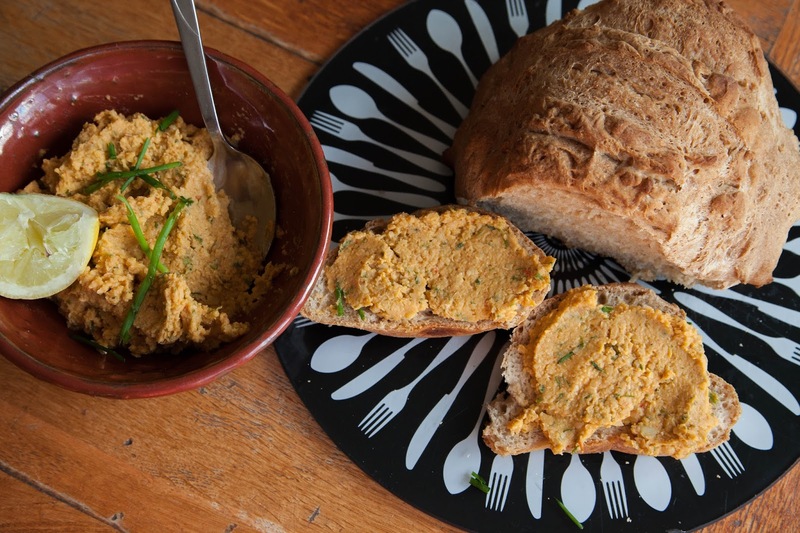 By adding in a couple of tablespoons of ‘Mr Organic Red Pepper add in’ and some fresh herbs you can create your own flavourful hummus concoction which is a perfect accompaniment to Bakels gluten free bread. 1 Pack Bakels Gluten Free Artisan Bread, made according to instruction. -In a food processor place all the hummus ingredients apart from the Chives and blend until the mixture is completely smooth. You will have to stop to scrape down the sides to ensure everything is incorporated. Depending on your preferred texture you can add a little olive oil here for a thinner hummus. -Add a few sprigs of chive to the blender and pulse blend. -Remove the hummus from the blender and empty it into a bowl. – Slather your hummus on a thick slice of Bakels Gluten Free Artisan Bread and enjoy. Store the remains in the fridge for up to 4 days.